The owners of Hamilton Real Estate, Earl and Shirley, have been active and influential in the Real Estate Community for well over twenty-nine years. 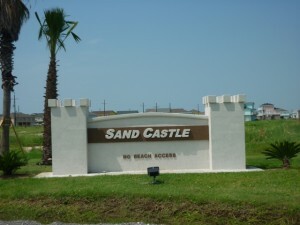 Earl has developed and expanded numerous subdivisions such as Lafitte’s Landing, Sand Castle, Singing Sands West in Crystal Beach, Texas and Hamilton Court in Nederland, Texas Shirley, Broker of Hamilton Real Estate, has specialized in Residential and Commercial Sales, Property Management and Vacation Rentals. They have been residents of the Bolivar Peninsula since the 1960’s when they purchased a lot and built their first home in Singing Sands. Earl Hamilton retired from the electrical division of Chevron to pursue his beach dream. His vision -to make beach life accessible to families- was realized when he created attractive, safe and affordable coastal neighborhoods. His development of Singing Sands West was the first such endeavor of his new company, Hamilton Construction. His many years of building, design, construction and development are an exceptional asset to the Hamilton Real Estate Team. Shirley Hamilton embarked on her second career of real estate following many rewarding years in the teaching profession. As the daughter of Clarence DeCoux, a well-known developer, home builder and real estate broker in Jefferson and Chambers County the business had always been in her blood. Shirley began her vacation rental management company in the 80’s during the early days of Hamilton Construction, working hand in hand with husband, Earl. Sales Associate and has been active in the Real Estate Field over twenty years. She began her career working in residential, commercial sales and appraising properties in Austin, Texas and surrounding areas. She has been affiliated with Hamilton Real Estate since 1986 as a full-time resident of Crystal Beach. Growing up in Port Arthur and spending time on the beach has enriched her life and given her the knowledge of watching Bolivar Grow into a coastal retreat area. She has an understanding of what this community means and the importance of our family friendly beach. Suzy’s network of builders, lenders, inspectors, appraisers, escrow officers, etc are able to serve your real estate transactions in a professional manner. Suzy and her husband, Larry, served the Bolivar Peninsula for over twenty years with their restaurant, DeCoux’s Pub & Restaurant.